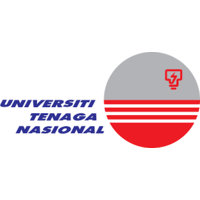 UNITEN Sports Excellence Scholarship 2019 is for students with high achievement in sports. The scholarship is worth 100% or 50% off from the tuition fee, depending on either the student representing on National or State level. The student must actively representing state or national level sports. Verification letter from the respective Sports Association is required. 1. Eligible to Malaysian students 2019 intake onwards only. 2. Open for all undergraduate (Foundation, Diploma, Bachelor) and postgraduate programmes in UNITEN. 3. Received an offer letter from UNITEN and has paid BMK. 4. Not a recipient of any full scholarship or financial assistance from any other agency / organisation. 5. Must maintain CGPA of 2.00 throughout the duration of study. 6. Required to take part in promotional activities.